Like many other educators with access to technology in the classroom, I like to incorporate the use of EdTech and educational websites into my curriculum. 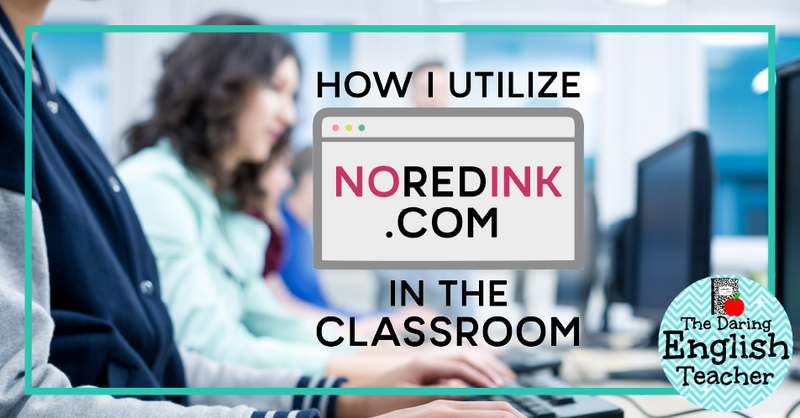 Previously, I’ve written about my favorite EdTech sites, and today I'm going to take a moment to discuss how I use the website NoRedInk.com in the classroom. NoRedInk is an online-based grammar instruction, practice, and assessment website. The program includes a free version and a paid version. I am very fortunate to work at a school that subscribes to the paid service. 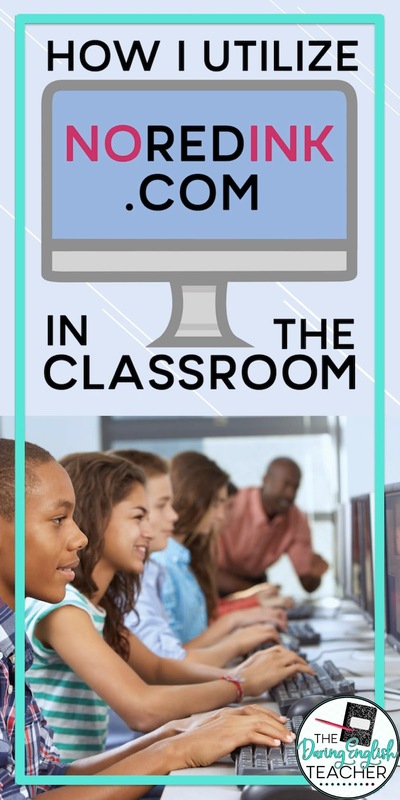 I’ve tried quite a few different methods of incorporating NoRedInk into my classroom, and I believe I’ve found a way that works the best with my teaching style: I assign my students grammar each month. I also quiz my students on the grammar each month. Every month of school, I assign my students a grammar assignment. I make the work available on the first of the month, and like clockwork, it is due on the last day of the month. Also, all of the grammar assignments are from the same track or related to one another. Usually, I assign 80-120 minutes of work for the entire month. 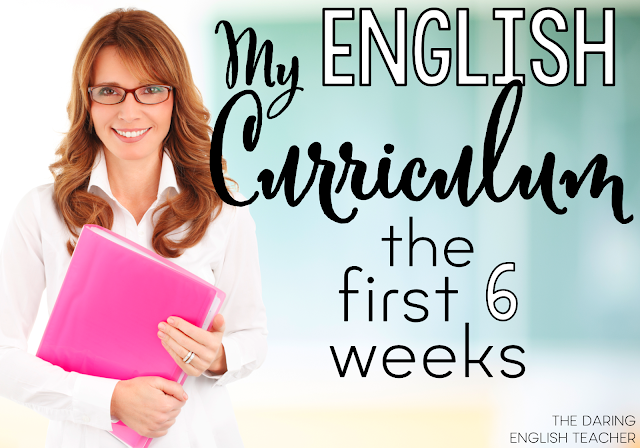 At the beginning of the month, I review/teach the grammar concepts to my students. I usually spend about half a class period at the beginning of the year to teach and review the new grammar concept. Then, as the month progresses, I will dedicate a couple of bell-ringer activities to reteach the concept and show more examples. My students work on the assignment as homework. However, I will sometimes begin my class period with 5-10 minutes of NoRedInk. If it is a day when my students are working on the Chromebooks, this helps them get logged into their GAFE accounts quickly. Students also have time in class to work on NoRedInk if they finish an assignment early. Many of my students can complete the monthly assignment using only the time I give them in class. At the start of the new month, I assign my students a quiz on the same concepts. I encourage my students to work through the questions they answered incorrectly to help them learn the concept and learn from their mistakes; it also helps for the students’ growth quiz scores. I see a strong correlation between my students' homework completion scores and quiz scores. After I assign the quiz, I assign the growth quiz as an optional assignment. I provide my students with the opportunity to take the growth quiz before or after school for 3-4 days. On NoRedInk, the growth quiz option will show you how much your students improve. If my students receive a lower score on the growth quiz, I keep their original quiz score in my grade book. However, if students earn a higher grade, I average the two scores together. By providing my students with the option to take the growth quiz, I am giving them an extra chance to learn the concept and improve their grade. As teachers, I feel that it is so important to give our students these types of opportunities. Furthermore, assigning the growth quiz, I am demonstrating to my stakeholders (admin, parents, students), that I am doing my part in giving students opportunities to improve their grades. I really enjoy using NoRedInk in my classroom; however, I believe it is essential to use this site as a supplemental tool. Yes, NoRedInk is excellent, but it shouldn’t be a standalone grammar tool. I strongly encourage teachers who use the NoRedInk platform also to take the time and provide direct instruction and small-group practice to make sure they are meeting all of their learners’ needs.